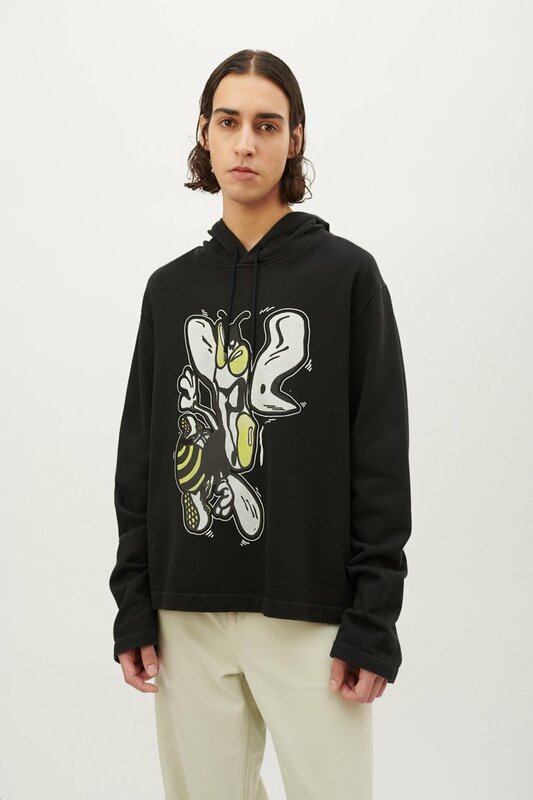 Our Loose Hoodie in Lost Bee Print. 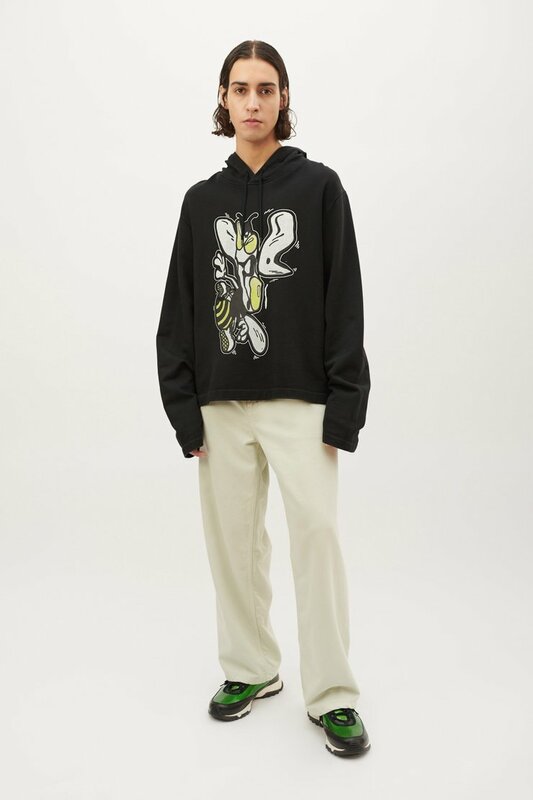 Produced in a pigment dyed Portuguese cotton jersey, the boxy and straight cut Loose Hoodie features a drawstring hood, our Lost Bee print, set in sleeves and a straight hem. 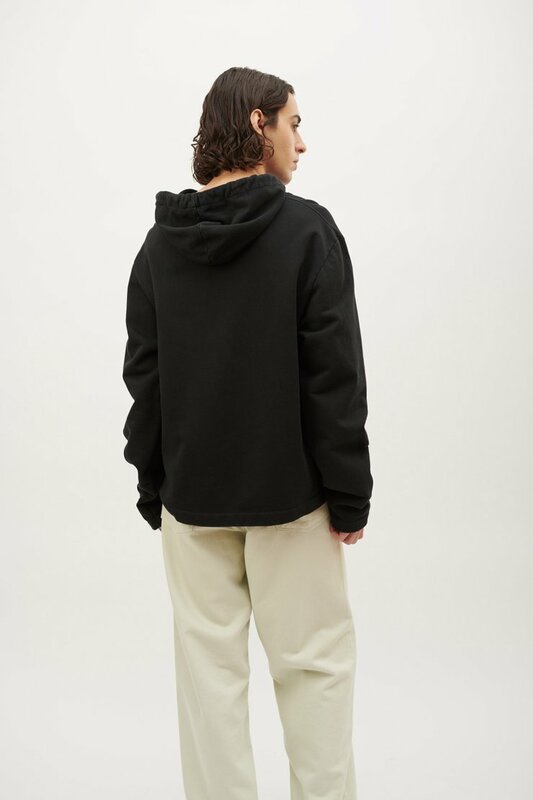 Our Loose Hoodie is true to size with a short, boxy fit. The model is 185 cm tall and is wearing a size M/48.